There’s a town called Primm about 45 minutes south of Vegas. And there’s an old casino that is dirty, seedy, smoky, and all kinds of wonderful. It has a movie theater. There’s a death-defying roller coaster and a log flume. And there’s an old arcade with our buddy Zoltar. He was most famous by making Tom Hanks Big in the movie by that title. I wanted to see what he could do for me. 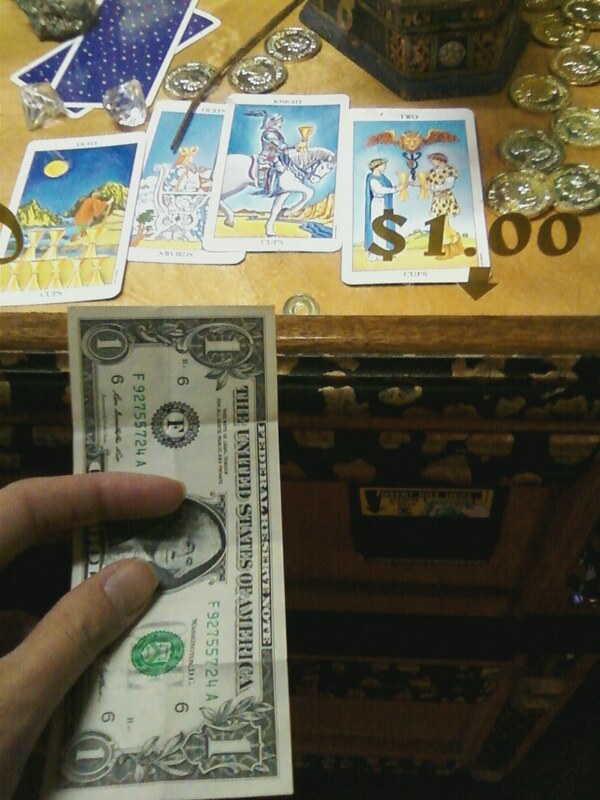 I coughed up a buck in order to get my fortune. And, with trembling hands, I waited to see what he would say. Zoltar pretty much used flowery language and incantations to tell me that I ought to be more careful with my spending money and people are waiting to take advantage of my sweet nature. Sort of like giving a machine a dollar and getting a “meh” type fortune instead of buying a Coke, I guess. 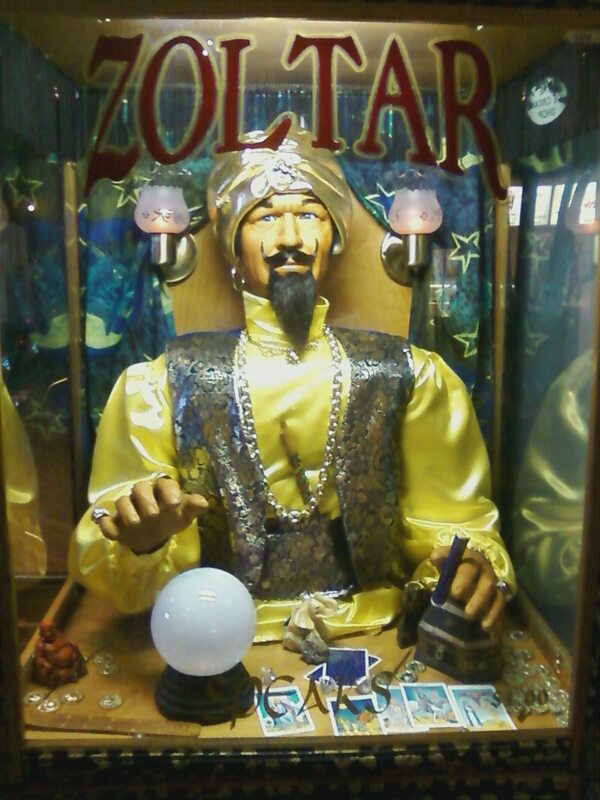 Good call, Zoltar! You should stop by sometime. 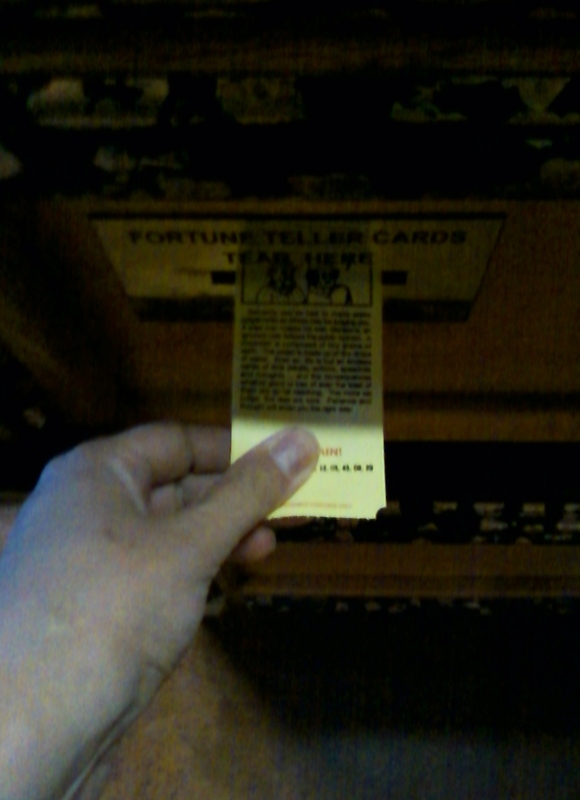 See what the Great and Powerful Zoltar reads in the stars and sees for you.